The burden of yellow fever in any given area is known to be heavily dependent on climate, particularly rainfall and temperature which can impact both mosquito life cycle and viral replication. Now, researchers from Imperial College London and the World Health Organization (WHO) have developed a new model to quantify yellow fever dynamics across Africa using not only annual averages of these climatic measures, but seasonal dynamics. Their work is described in PLOS Neglected Tropical Diseases. Yellow fever virus is transmitted to people from mosquitos, primarily in tropical and subtropical areas in South America and Africa. The resulting illness ranges in severity, and about half of those infected don't develop symptoms. But the virus, when it causes severe disease, is thought to cause between 20,000 and 180,000 deaths a year in Africa. Researchers have previously used environmental measures to map areas most at risk of yellow fever outbreaks. In the new work, Tini Garske of Imperial College London and colleagues, considered the effect of seasonal dynamics on yellow fever transmission. Their model integrated the effects of temperature on mosquito behavior and virus transmission, and looked at monthly variation in temperature rainfall, and vegetation throughout the year across Africa. 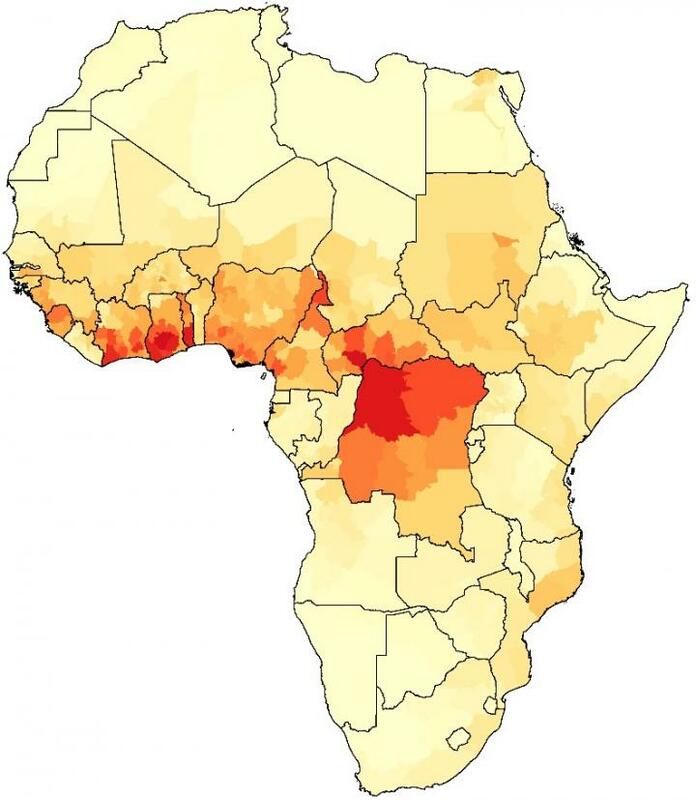 The model confirmed and quantified that, even in areas with high transmission potential for yellow fever, the risk varies throughout the year. The seasonal model accurately captured both the geographic and temporal heterogeneities in yellow fever transmission and did not perform worse than the annual model relying only on geographic distribution. "This finding, in conjunction with forecasted data, could highlight areas of increased transmission and provide insights into the occurrence of large outbreaks, such as those seen in Angola, the Democratic Republic of Congo and Brazil," the researchers say. "When used in conjunction with forecasted data, the model predictions could be useful for focusing both surveillance efforts, and the pre-positioning of material and equipment in areas and periods of particularly high risk. This would allow the facilitation of early interventions in emerging yellow fever outbreaks – which is key to prevent large scale outbreaks." Funding: The research leading to these results has received funding from the Bill & Melinda Gates foundation (OPP1117543 http://www.gatesfoundation.org/). The funders had no role in study design, data collection and analysis, decision to publish, or preparation of the manuscript.